Terri joined the diocesan staff as the part-time Missioner for Transitions and Governance on July 1, 2016. Her responsibilities involve consulting with faith communities regarding various types of transition, risk management, and compliance with legal and canonical obligations. 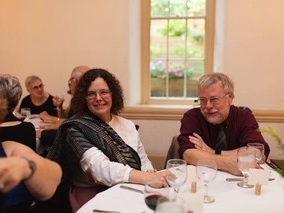 Before becoming an Episcopal priest, Terri acquired a somewhat eclectic professional background that includes medieval English Literature, leadership within the Open Education movement, and study abroad program management. In addition to her work for the diocese, she serves as priest at the Church of the Holy Trinity, South Bend. 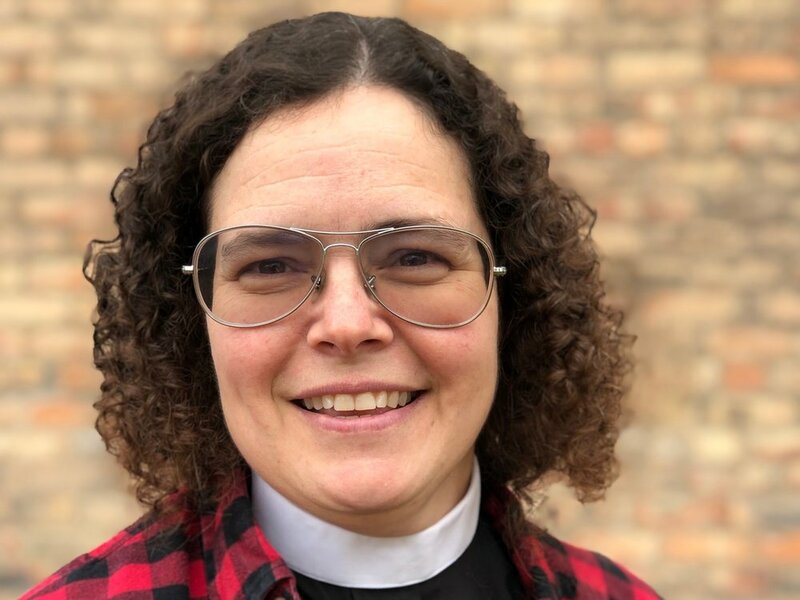 Within the diocese, Terri currently serves on the Board of Examining Chaplains and the Joint Disciplinary Board for the Diocese of Northern Indiana and Indianapolis. She convenes the Diocesan Racial Reconciliation Reading Group and participates in other Becoming Beloved Community activities. 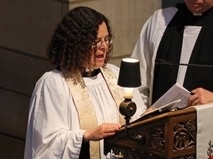 She has served in the recent past as a deputy to General Convention (2018), as a member of the Episcopal Transition Committee (2016), and as a Diocesan Congregational Development trainer (2013-16). Before starting work at the diocese, Terri divided her time between Holy Trinity and the Cathedral staff. Terri resides in South Bend, Indiana with her husband, Tim, two daughters, and three cats. You can follow Terri (when she remembers to post) on Facebook and LinkedIn. Favorite food: Fried okra, just about anything spicy!